Being in the Grand Tetons for a couple months I finally realized that I needed a much better lens. It needed to be one that would allow me to get up close and personal with these animals without invading their space or privacy. The wonderful thing is that over the past three months they have gotten use to me being around; they’re practically family. I was pretty lucky today when I bought this lens as it was right before they were going to start dropping their paddles. I’ve had my eyes on this specific guy for the past 3 months; he is my favorite moose to photograph hands down. I hadn’t seen him the past couple of weeks so he his appearance surprised me. This was the perfect day! He even has snow on his face from rummaging around for food. I couldn’t believe my eyes. It was almost as if the bulls were out there showing off because the lighting was perfect. Stay tuned as I turn things up a notch!!! 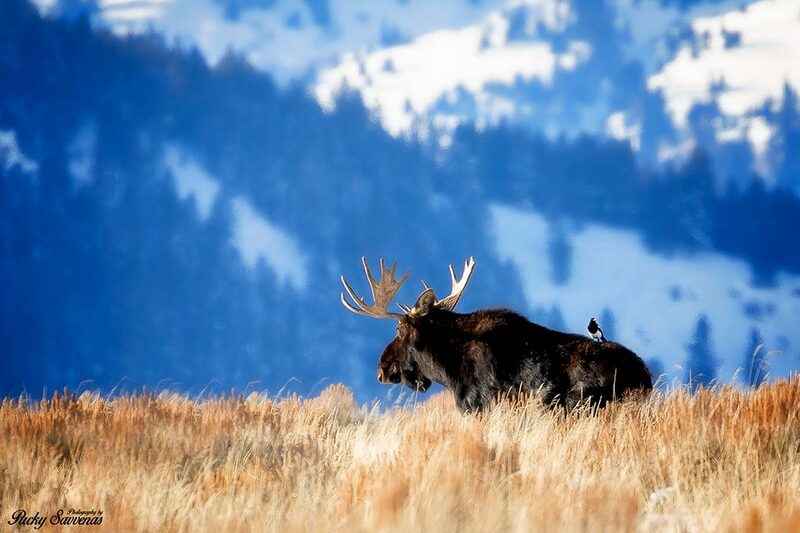 This picture has been featured by JHStyle Magazine right here in Jackson Hole. 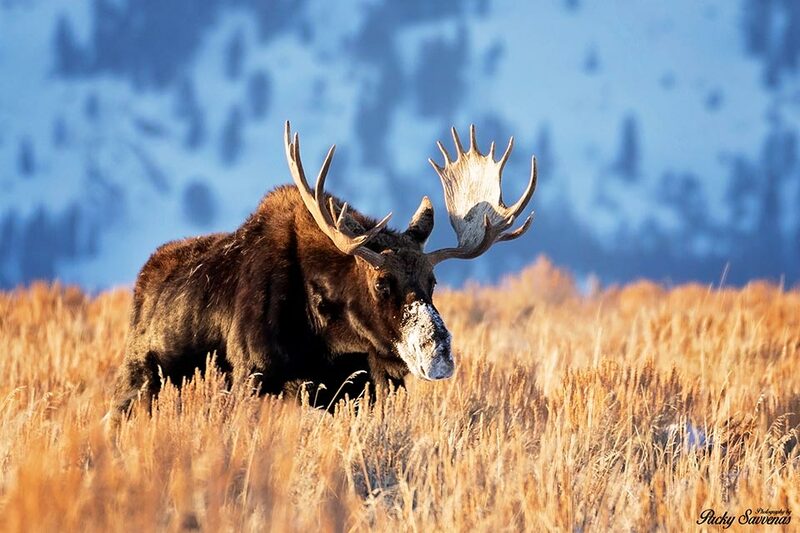 A Magpie and a Moose!